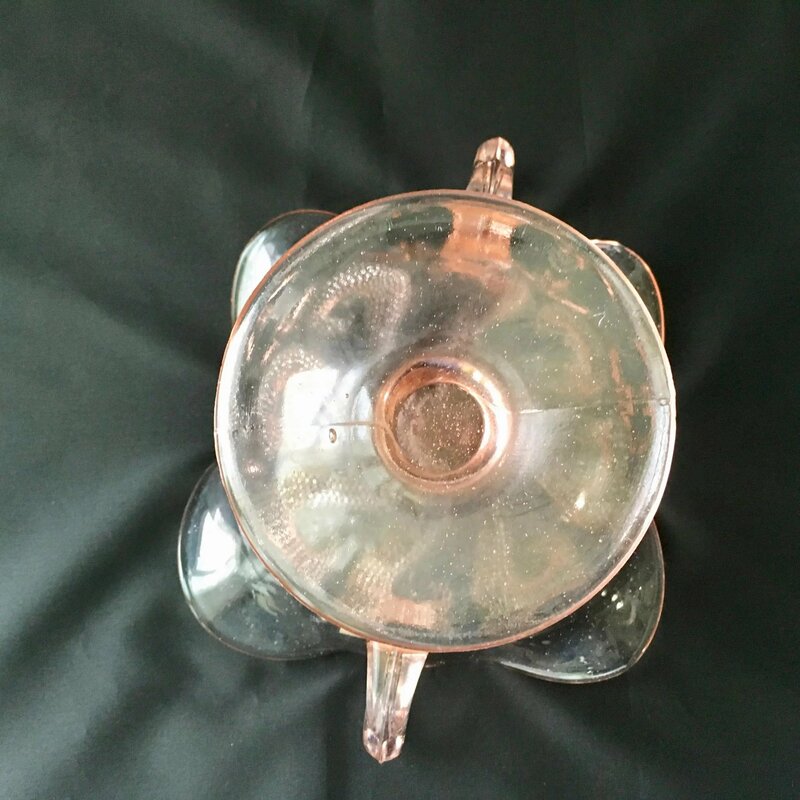 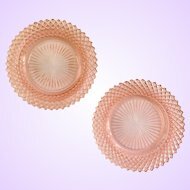 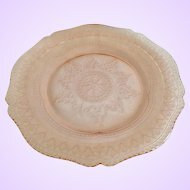 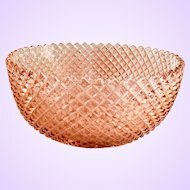 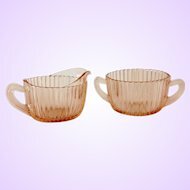 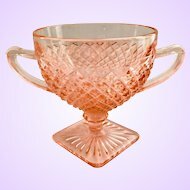 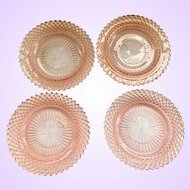 Here is the Dugan/Diamond Question Marks pattern in the elusive Non-Iridized Pink Afterglow Two Handled BonBon Depression Glass Footed and Handled Bowl. 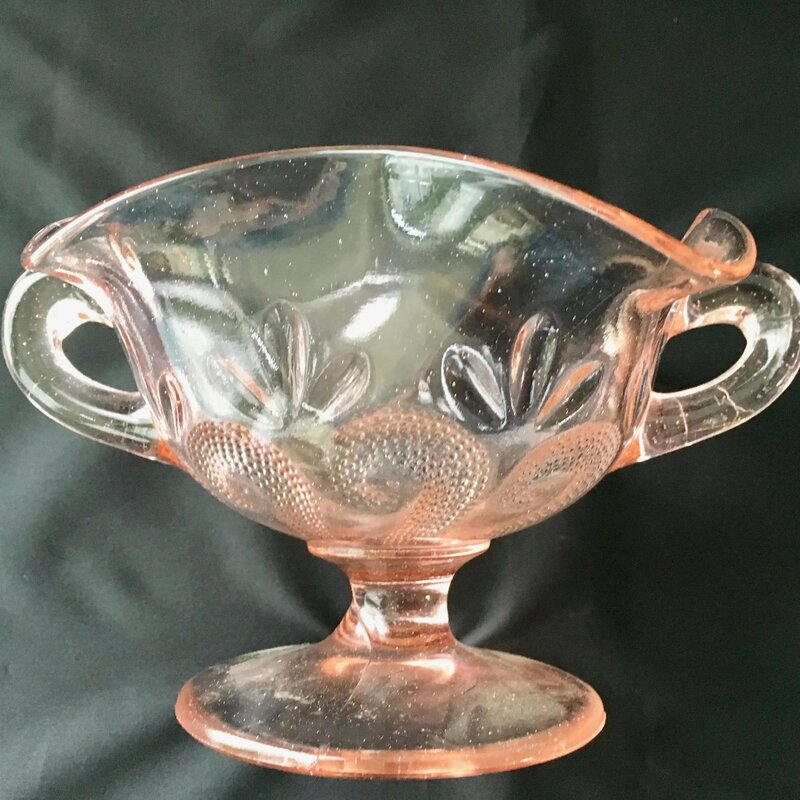 Dugan first made the Question Marks pattern in carnival glass. 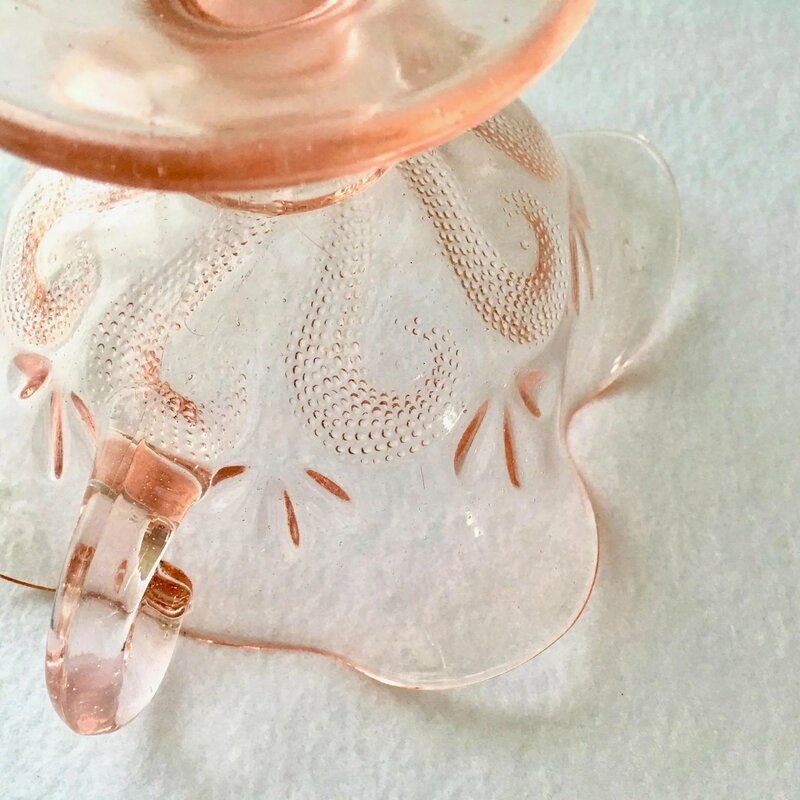 The pink was introduced only after Dugan became Diamond Glass, and is so uncommon that the existence of this piece in pink was once in doubt by collectors. 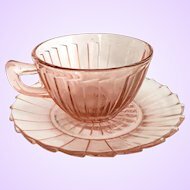 Diamond made pink glass beginning in 1929 and the factory burned in 1931 and was never reopened. 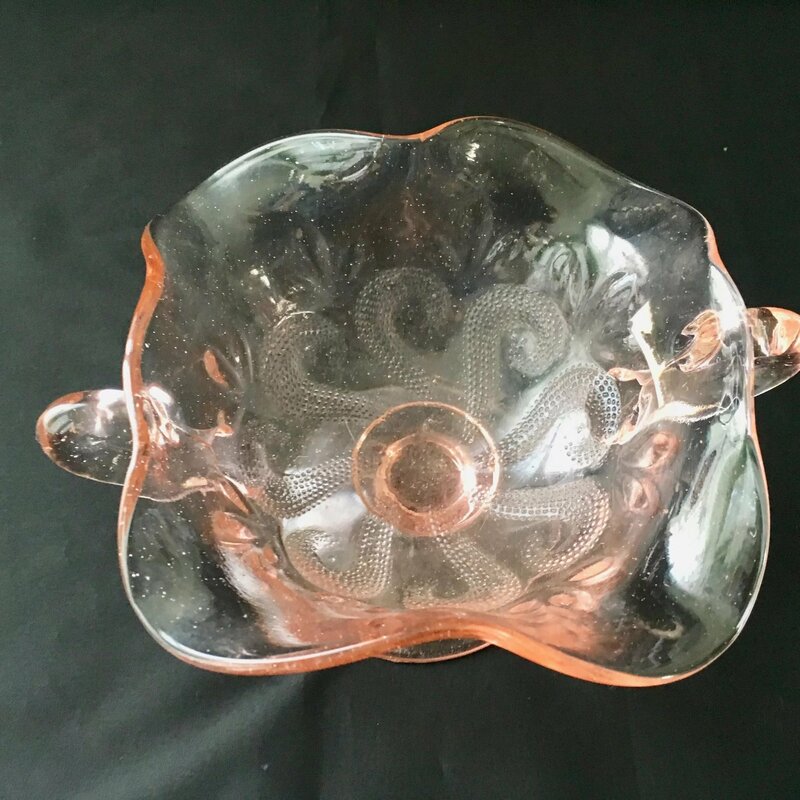 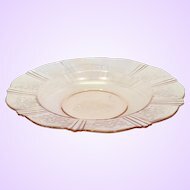 The Question Marks pattern has a beaded design in the bottom of the bowl resembling the eight curled legs of an octopus. 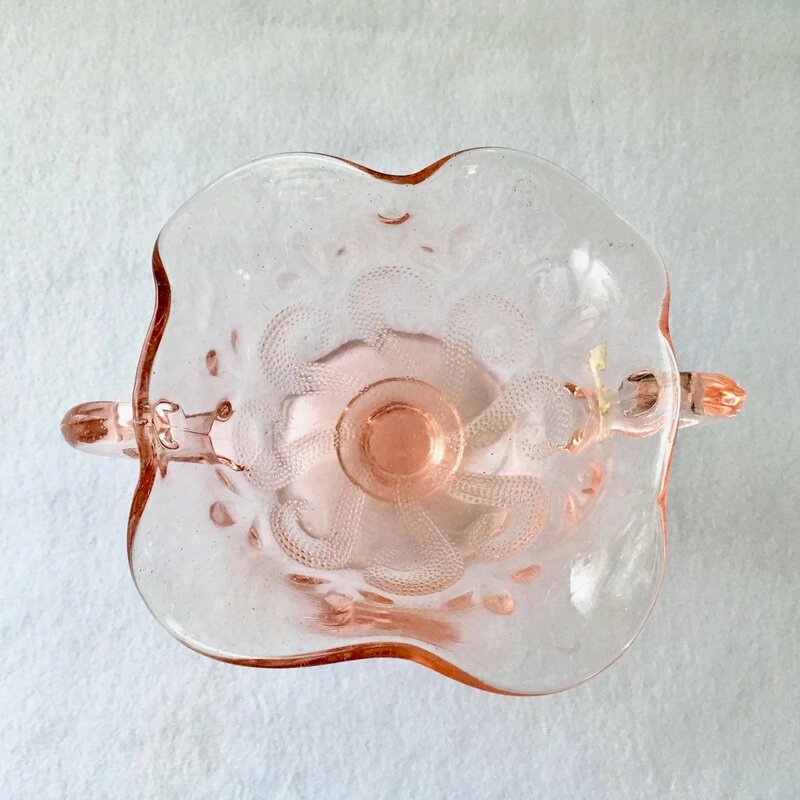 A three-petaled flower is in the mold between each pair of question marks. 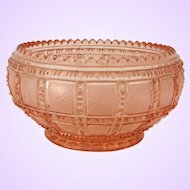 Called a two-handled jelly in the Diamond 1929 catalog, the footed bowl has a ruffled edge. 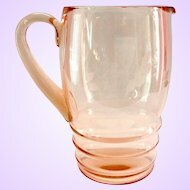 It is very unusual to find this piece in pink. 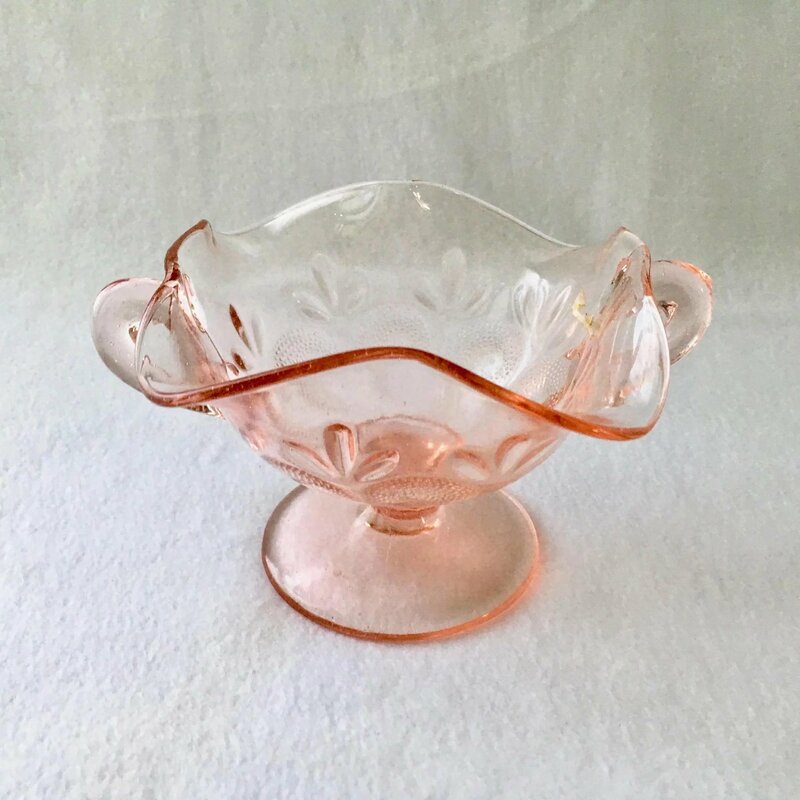 This pretty bonbon measures 4-inches tall and 6-inches in diameter, 6-1/2 across the handles The foot is 3-3/8 inches in diameter. 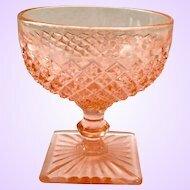 Produced by Diamond	Glass during the short period from 1929 to 1931, there is no mark. 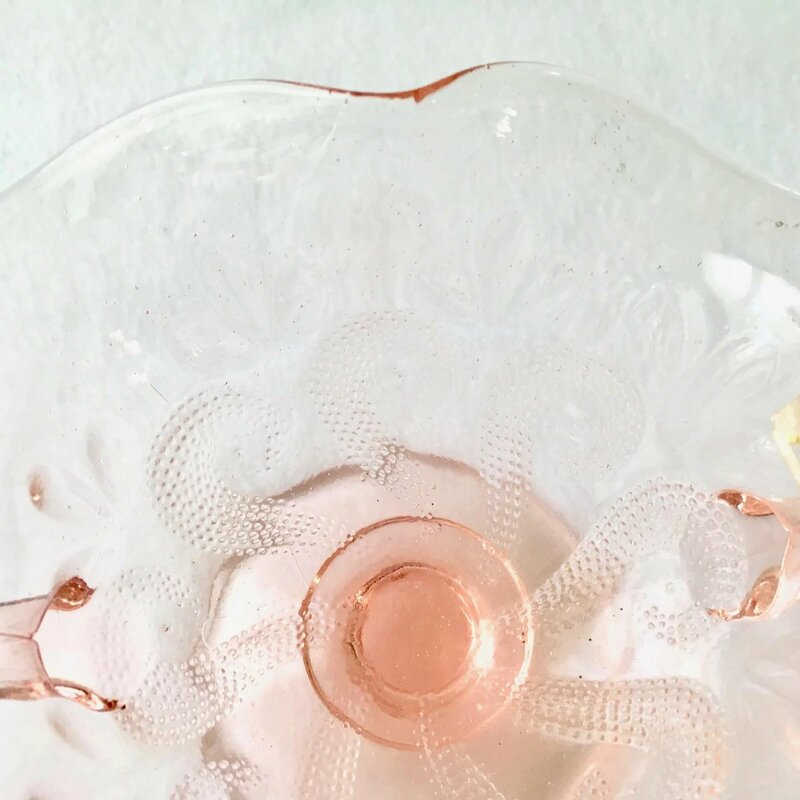 There are numerous tiny pinpoint bubbles within the glass that look like specks of dust in the photos. 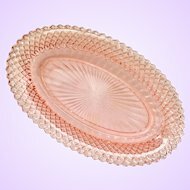 There is a larger bubble in the foot. 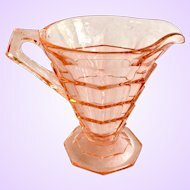 These are normal in glass of this era when quality control was not a high priority. 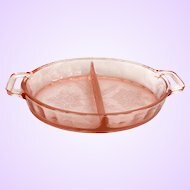 There are also several stress fractures, short cracks that do not go all the way through, around the ruffled edge and within both handles. 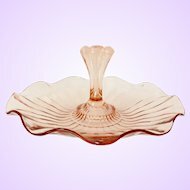 One handle is slightly flattened on the side, and the mold seam of the foot is unusual as it twists around the short stem. 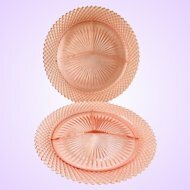 There are no other chips or cracks. 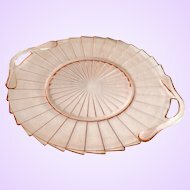 I appreciate your interest in my items. 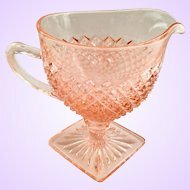 Please make Maggie Belle's Memories a Favorite Shop to receive updates on new listings!